One of my students, Anna, is debating whether to continue yoga classes this spring. The class she attends, on Mondays from 12:45-2pm, immediately follows three hours of her own work, introducing music to babies and toddlers. As a Music Together teacher, she must be “on”: engaged and animated (the under-four set won’t cut you any slack!). She has no time to catch her breath or to gather her thoughts (or to eat a snack) before yoga. She’s also busy in her personal life, raising a young son with her husband. While she enjoys the class and the way it pushes her physically and mentally, she’s also feeling swamped with her overall life. What should she do? I’d love to see Anna in my class. She’s an attentive, appreciative student who would benefit from regular asana work. But I can empathize with her dilemma. Sometimes, one must take care of pending “business” before one can fully commit to yoga (or any other practice). A decade ago, when I took a Zen Buddhist meditation course taught by Reb Anderson of Green Gulch Farm, a student asked him sitting in zazen at home. He first discussed the “logistics” (my word, not his) of home practice. You need the support of your household. If your family or partner is opposed or otherwise unsupportive of your practice, it will be difficult to find the time or the right mindset to sit. You also need to manage your other priorities (work, travel, child care, pet care, domestic chores, sports, hobbies, etc) to open a space in your schedule. You can’t feel rushed, guilty, or distracted when you sit. You can’t meditate if the phone keeps ringing or if you’re trying to feed your kids breakfast at the same time. A chaotic environment (whether in your environment or in your mind) is not conducive to meditation. I find his advice apropos to my yoga practice. When my life is stable, when the sea is calm, it is relatively easy to plunge into my home practice. Class time, too, feels focused and healthy. When I’m crazed, I can feel it in my practice. I can tell by the way my mind wanders and gallops, compelling me to stop and jot notes in the midst of an asana sequence! For me, savasana (which I discuss here) is the best barometer. I don’t even attempt savasana if my mind is too stormy. My friend Catherine says that her tadasana is affected when she’s under stress. It is harder for her to “find” her tadasana. In such pure poses, there is no hiding from the truth. Yoga requires a regular and wholehearted effort. If you’re feeling scattered, do a focused five-minute asana rather than a lackadaisical two-hour practice. Or get your ducks in a row first. I needed to read this today. 😀 So true. Thanks YogaSpy! i think sometimes i feel all over the place because i rock pitta pretty hard. not to use it as an excuse, but an awareness. sometimes, if im feeling that way, i start my practice with a super-peppy song, and just dance it out. it helps both give me more energy and focus it. Huh. I’m not sure I agree with this. Certainly there are times where fitting yoga into my schedule would only add to my stress, but when it’s borderline, sometimes the best thing is to fit it in, even if it feels like too much. And same with doing savasana. My mind may feel like it’s racing too much, but that’s when I need it the most, the ground me and take a time out, to give myself some space where the other distractions don’t matter. 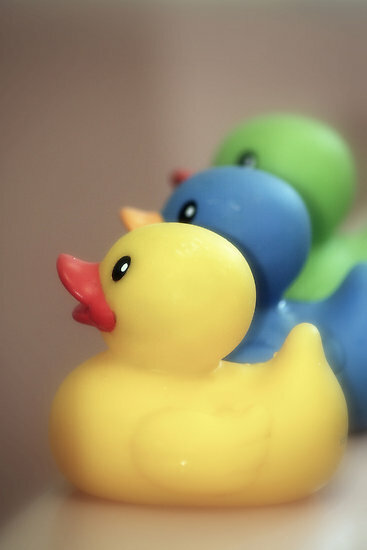 If we all wait to get our ducks in a row before doing anything about meditation or yoga, many of us won’t do it at all. I have to agree with Linnea. If we wait for space to practise chances are we never will. I’m just begining to realize that I need to make my life fit into yoga not wait for yoga to fit into my life. I realize this is a tall order for most. We have jobs and families and lives that don’t just stop but this is all the more reason to practise regularly. I cope so much better with life when I can incorporate yoga into all that I do, not just the 90 minutes I spend in class. It’s hard tofind time and make space for extra activities. And as for mothers, it is harder to find time for ourselves. But that’s the thing! Mothers also need a break. ANd yoga can be a rewarding break for mothers, and teachers. It is relaxing inside and out. Belated thanks for your comments, Linnea, Asha, and Sand Sock Girl: I agree that we should not wait till life is “perfect” to practice. I never said that we should “wait.” I actually meant the opposite. We must carve a space in our existing stressful lives to practice. This means negotiating (whether literally or figuratively) with our households, our careers, and all of our commitments—to allow that space. In other words, if your partner or family resents your taking time for yoga (whether this means a class or simply some quiet time each morning), you will probably be agitated inside. Likewise, if your high-powered career requires 12-hour workdays seven days a week and you’re barely coping, you will probably have trouble focusing on yoga. The yoga “space” you create for yourself (and that is what I mean by “ducks on a row”) need not be two hours a day, but can be just 15 minutes a day or a weekly class. But whatever the amount, you should feel secure during that time, not rushed, guilty, or distracted. So, we’re on the same page here. As for Asha’s last sentence about incorporating yoga into all that she does: absolutely. If one can indeed practice yoga in all of one’s thoughts and actions, one is epitomizing yoga. But most of us are not there yet. So, we must carve that little space—for a moment of peace, which ideally will carry over to our lives off the mat.